This is the first of several articles/interviews about the Lantis Anisong Festival, held a month ago in Las Vegas in conjunction with Otakon Vegas. Interviews and videos coming later during the weekend. This article is based on the second day of the festival on Saturday January 17. 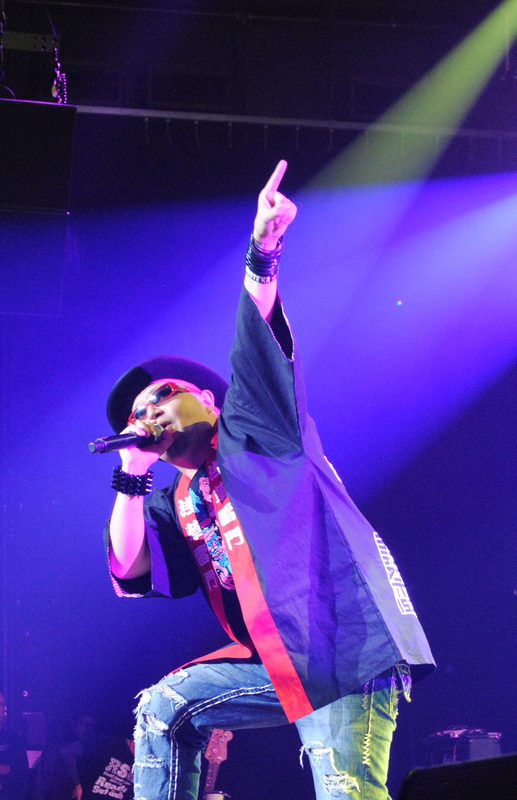 There was a certain clockwork efficiency to the Lantis Anisong Festival in Las Vegas, with the way each act came and left the stage in relatively rapid succession. 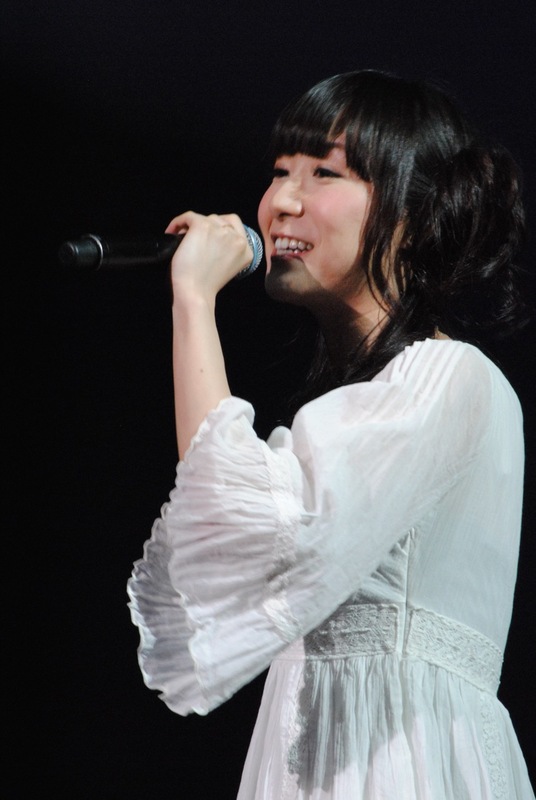 It had to be, given that there were about a dozen acts reprising anime song favorites, 2-3 songs per artist, who sometimes doubled up and collaborated (as ChouCho and Sayaka Sasaki did). Despite being all managed by the same record label, a great diversity of anime was also represented, from pure shounen action (such as with the headliners JAM Project and solo performer Hiroshi Kitadani with songs from One Piece) to otaku fan service comedies (Bamboo, singing the OP to Baka Test “Baka.Go.Home”), to moe parody (ChouCho‘s Fate Prisma Iliya OP “starlog“), a cover of Haruhi Suzumiya’s legendary insert song “God Knows” by veteran singer Yoko Ishida, and even the Power Rangers theme song at one point with JAM Project founder Masaaki Endo. 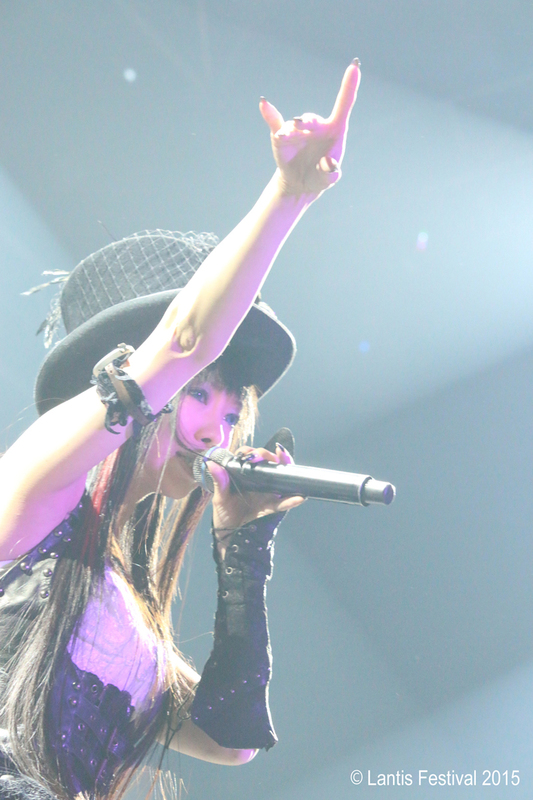 The presence of a stage band anchored the live musicianship consistently, with only other full bands like Yousei Teikoku needing to take the stage with their own players. Full, live musicianship is relatively rare at convention concerts, so hearing nearly four hours of actual performed music was a treat. And yet this was not a convention concert in the usual sense, despite the festival’s ties to concurrent Otakon Vegas: it had its own management, ticketing, and arrangements, but both logistics and logic dictated some overlap. Its relative independence proved a boon, because the general convention audience and the audience that would “get” the majority of these songs do not necessarily overlap: there were relatively few cosplayers in the audience, for instance, and many of the songs played were from obscure-in-America properties, like the original live-action GARO. The truly committed had paid over $100 for VIP tickets, and many of them were decked out in traditional otaku fan garb: glowsticks, headbands, and coordinated gestures. Buying a VIP ticket also entitled the holder to high five the artists on the way out of the venue, a touch opportunity that is generally coveted highly in Japan, the subject of lotteries and contests. This was the Anisong Festival’s only non-Asian stop and it was Asian-style fandom that was fully on display. As for the performances themselves: they were, above all else, consistent in their high level of musicianship and singing, with sacrificing the distinctives of each artist. Standouts include not only the highly energetic headliners JAM Project, with their excellent operatic singing and rock god poses, but the exuberant bamboo (milktub). 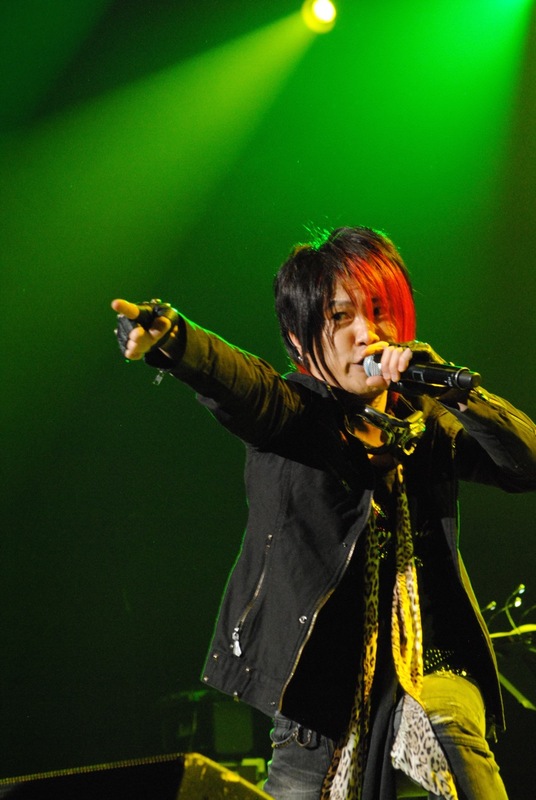 As he sang the Baka Test OP, he clambered down from the stage and simply started mingling with the crowd–not just the VIPs!–singing all the while with his wireless microphone, high-fiving everyone. He carried and showed off a body pillow. Bamboo came off as a man who has truly embraced anime music as a culture, perhaps a job requirement given his other job as the head of MangaGamer but deeply felt all the same. Sayaka Sasaki, who we saw last year at Otakon Vegas, also gave a spirited performance, though the more restrained ChouCho slightly edged her out in vocal consistency. Both were equally charming though during their joint performance of “Enter Enter Mission!”, the ED to Girls und Panzer. Faylan, who sang the OP to the Nasu-conceived PA Works action series Canaan, showed off some great choreography skills along with aggressive singing. Perhaps the hardest rocking performance was given by the goth metallers Yousei Teikoku, who at one point seemed to be launching into something resembling the intro to Metallica’s “Masters of Puppets” before proceeding into one of their own songs, “Kyuusei Argyros” (the ED of Tokyo ESP). Many heads banged along. True to their image, they played the aloof, too-cool-for-school part, even during the final ensemble festival anthem “Starting Style” where all the artists took the stage at once: perhaps a bit too syrupy for their taste? The singer did induct all the audience into her Fairy Empire however, and in a show that featured much more pop and light rock, their heavier sound was welcome. A few more words about JAM Project and their associated members, Masaaki Endoh and Hiroshi Kitadani. 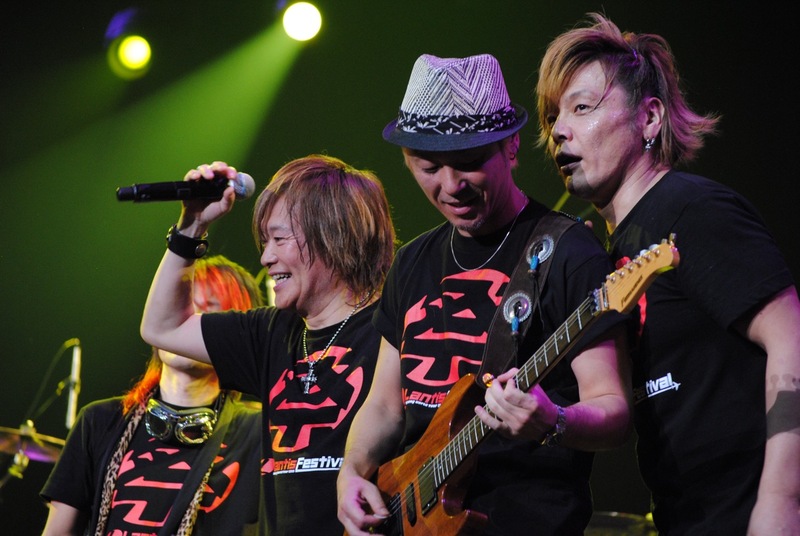 Perhaps no other act embodied the spirit of the festival and its purpose than them, a supergroup started explicitly to carry on the spirit of anime music. The two leads, Endoh and Hironobu Kageyama, are veterans of the industry whose operatic metal-influenced voices practically defined a generation of shounen, super robot, and tokusatsu animes, shows, and games from the 80s-90s onward. That sort of anime is now only one type of many in today’s media landscape, and arguably garners less immediate commercial attention than the cute/moe aesthetic typically favored by today’s otaku (the sort of anime an artist like ChouCho sings for, for instance). Their sheer performance chops are undeniable, however, and they were absolutely the correct act to close the afternoon: after seeing them belt out passionately, jump and wheel about on stage, working in near perfect coordination, one feels almost as pumped up as they evidently were. For an evening that started with the purely artificial Hatsune Miku, the end was about the power of raw, organic performance, the essence of what rock music has always been about. It is an “anime” music festival, yes, but it is a “music festival” too, and all in all it succeeded being that just as much as being a celebration of anime.